With hundreds of acres of untamed wilderness, Southern Utah is a top destination for a variety of outdoor recreational activities. Hikers flock to the area for unique landscape views and rugged hiking trails. Bikers crave the challenge of riding up steep mountains, and anglers seek out the best spots to reel in big catches. A landscape this wild and open also attracts a high number of hunters. If you’re planning a hunting trip to the region, you’ll want to read our guide to the Utah hunting season before packing your bags. As you research more about the Utah hunting season, be sure to request a copy of our complimentary Vacation Guide! Curated by locals, this handy planner is filled with useful tips and recommendations on other outdoor recreation, restaurants in the area, and more. Information on the Utah hunting season is released two times per year—details on big game hunting are issued during the winter, usually in January, while information on small game hunting is released during the month of August. Before embarking on a hunt for big game, you need to acquire the proper permits. For more information on which permit the state of Utah requires, read up on the Utah Division of Wildlife Resources’ requirements. The most common animals found in Utah include elk and buck deer, but some skilled hunters will attempt to pursue moose. Most small game hunting takes place in the fall with rabbit, quail, turkey, and pheasant being some of the most popular game. Upland game hunting is particularly favored throughout the entire state during this time of the year. If you’re unfamiliar with the territory, there are several outfitters that will lead you on guided hunts through the best hunting regions. BookYourHunt.com and Elite Outfitters Utah are two well-known places offering this type of experience. Our Family Time Vacation Rentals are the perfect place to stay in Utah this hunting season. If you’re planning a trip with a large group, you can rent one of our properties able to accommodate from 14 to upwards of 20 guests. With homes in several Southern Utah towns, our vacation rentals are conveniently located near national parks and other areas you will likely frequent during your vacation. This Triebold’s Getaway log cabin in Duck Creek Village has room for up to eight guests and offers plenty of space. When you book this property, you’ll be near Zion National Park, Bryce Canyon, and several lakes in the area. Plus, you can take advantage of the many hiking and ATV trails around the home itself. In the evenings, fire up the propane grill and enjoy your dinner outside on the patio. 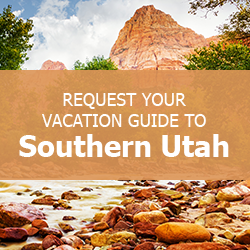 Browse our complete catalog of available properties and start planning your getaway to Southern Utah today!